Timber ing Billy Pine. Carvel planked and splined. Topsides painted in November 2016. Now reduced to sell at $42,000. Vendor is open to offers. 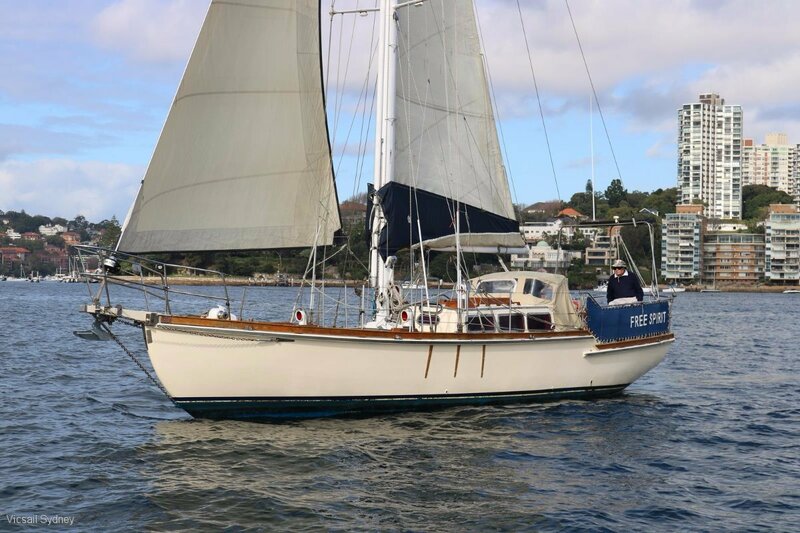 'Free Spirit' is a classic timber sloop in excellent condition. 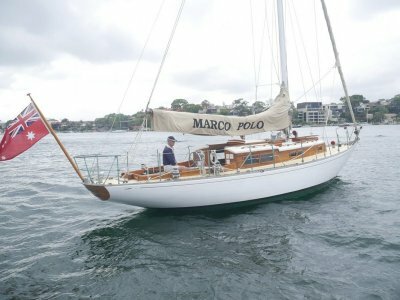 Launched in 1969 in Tasmania and built tough in King Billy Pine she has always been loved by caring owners and recently maintained in Sydney by Michael Bartley Shipwrights. The timber hull is well cared for with antifoul and topsides being painted in November 2016. 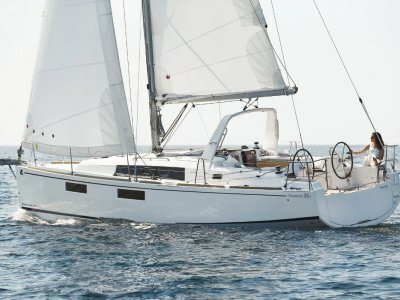 The full lead keel provides stability in ocean conditions and a kindly sea motion. The deck is dynal shethed with non skid and sports high quality over engineered stainless steel fittings for peace of mind in rough conditions. The winches are self tailing high quality Barlow. The rigging was replaced in 2010 and is in excess of what's needed of a boat of this size. There is the option of a self tacking stay sail ready to go and the classic colour sails were fitted by Doyle in 2012 having had minor use. 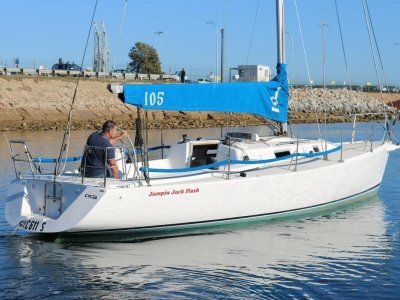 With lazyjacks and furler 'Free Spirit' is easy to sail short handed. The interior is beautiful with excellent 'fashionable' timber joinery, mood lighting, excellent storage and comfortable sleeping quarters. There is Eutectic and 12V refrigeration, Broadwater stove, oven and griller. The yacht is dry and a pleasure to be on. Extra inventory items include sun awning, sprayhood, solar panel arch with regulator to trickle charge the AGM batteries, instrumentation with autopilot, safety gear, gas BBQ, Fleming wind vane, electric windlass with chain counter. 'Free Spirit' offers a great opportunity for someone wanting a real classic in a condition one can be proud of. She could take her new owner afar in safety and comfort and provide many great times. 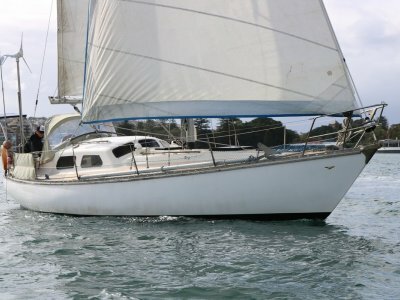 Antifouled and checked with an all clear in July 2019 by Michael Bartley Shipwrirights in Sydney. Dynal sheethed with non skid. 4 cylinder 45HP diesel Drive Type: Inboard/Shaftdrive Engine Room: Well insulated below the cockpit. Sun awning from boom cover. Wind dodgers on lifelines to protect cockpit. Boom cover. Sprayhood/dodger. V berth or two singles forward with ensuite. Spacious saloon. Eutectic and 12V electric system. Separate Ice box. Ground Tackle Information: CQR 45lbs anchor, 50m of chain & 50m of warp. 5 Fenders and fender board. Anchor/ Winch: Muir electric windlass with foot switch and remote control in cockpit (2012). EPIRB. Jackstays. 2 inflatable life jackets. 4 standard life jackets. 3 fire extinguishers. First aid kit. 2 Safety Harness. Bosuns Chair. 12 V circuit - 220 V circuit. 3 AGM batteries. Some LED lighting. Deck lights from spreaders. Solar panel on stern with regulator. Navigation: Autohelm. Wind, speed, depth and log. Tiller pilot. Doyle Dacron mainsail and furling genoa (2012). 2 staysails. Trisail. Classic two spreader white painted aluminium rig. Wire rigging (replaced 2010). Furlex furling system. Self tacking staysail for cutter rig. Spinnaker pole on mast track. Barlow winches. High quality, heavy duty stainless steel fittings. Salt water deck wash.
Gas BBQ. Fleming steering/wind vane.